One of my crochet traditions is making hats for my family. A couple of years ago I realized that my husband and sons all considered hats for Christmas part of our holiday traditions. This year I made a hat for my husband for Christmas using a cake of Premier Yarns’ “Sweet Roll”. But I didn’t make hats for the boys. I had made a hat for Thing 1 at the start of the school year that he was still happy with and Thing 2 had his hat from the previous Christmas that he liked. The other day Thing 2 asked me if I had seen his hat. We looked all over the house and even checked in the cars, but it was nowhere to be found. He checked in the Lost & Found at school that day, still no hat. We had to accept that his hat was gone. 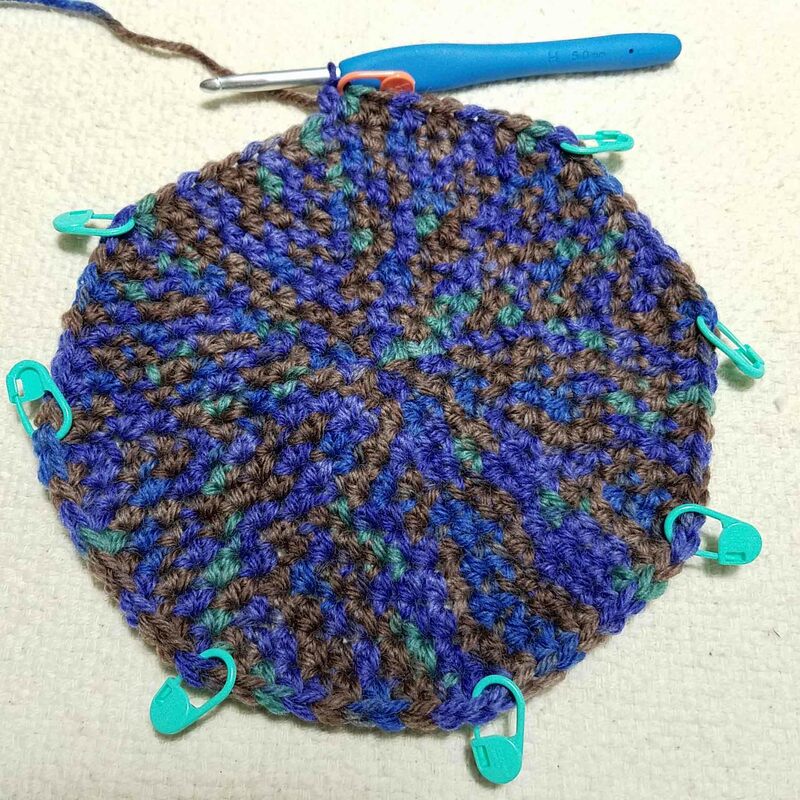 I decided to start a new hat for him as part of my NatCroMo celebration since making something for someone else is an important part of crocheting love for me. The original hat had been worked in some discontinued yarn “Lion Wool” that I had in blues, teals and navy. I didn’t have more of that color, but I did have this colorway that I thought he would like. I took the photo above while waiting for an appointment today. The lighting was indirect natural sunlight and the colors on my monitor are showing a bit warmer than the actual colors of the yarn. By this evening I had finished 10 rounds and will be starting the sides of the hat tomorrow. I took this photo using my daylight fluorescent lamps and played with the Pro settings on my smart phone camera to adjust the white balance and the exposure. The color and detail are good, but now they are a bit cooler than the actual colors. I’ll experiment more tomorrow to see if I can get a better color match. 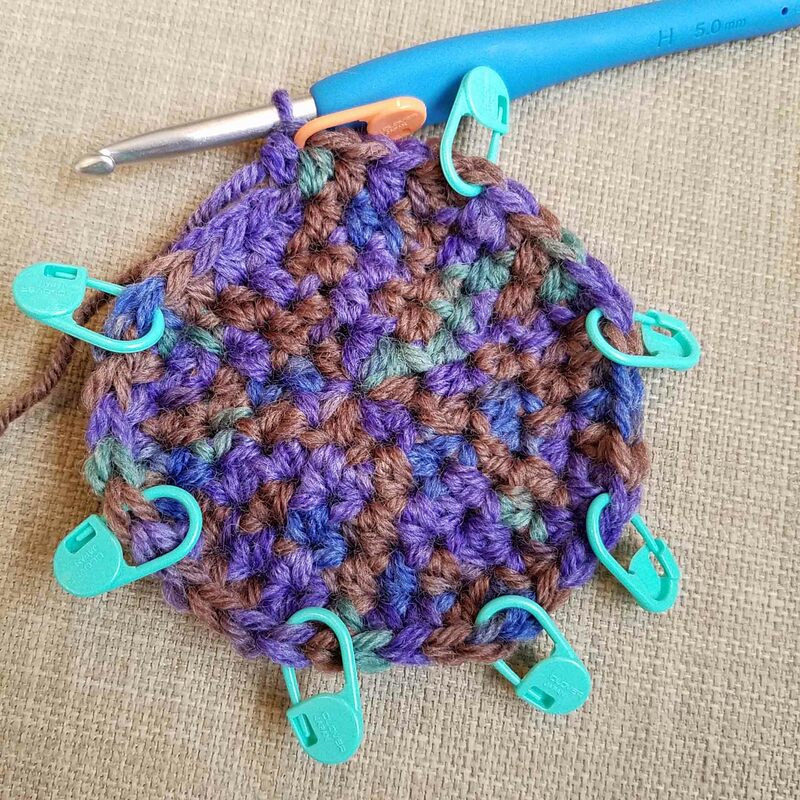 At least the hat is coming along nicely and Thing 2 has approved the colors.